Do you want to download and watch latest Nigeria Nollywood or Yoruba Movies on your PC via YouTube for free? Here is a complete guide on how to search any Nigeria movies online and download to your laptop or desktop computers. 1. 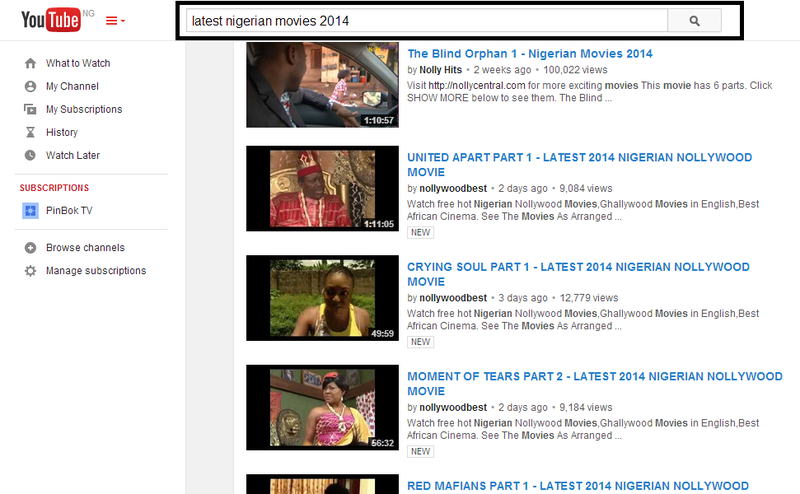 Go to YouTube.com > Search 'Latest Nigeria Movies' > Press Enter. 4. Wait for your download to be complete.